You probably wouldn’t think of Philadelphia when you think of sushi, but something tells me Jesse Ito, the chef at Royal Sushi, would be able to change your mind without speaking a word. The omakase at their 9 seat sushi bar is the real deal. Jesse has his ingredients flown in from all over the world and his passion for quality shows. I was able to dine here three times this year and every single 18 piece meal was different and sublime. Unlike the 2 Michelin star, Jungsik, in Seoul (that I was lucky enough to also eat at this year), at Royal Sushi you can interact and ask questions of the chef as he is preparing the food right in front of you. It can’t be overstated, how much of a difference that makes in the enjoyment of the meal. The lighting at this 9 seat bar is also near perfect as the photos of every bite I’ve taken there can attest. So don’t be shy with the Instagram, if that’s your thing. Be sure to be up at midnight 30 days ahead of the date you want to dine or else you aren’t getting that reservation. Thanks to Steve over at Everyday Wear, I’ve developed a bit of an Outlier problem. If you aren’t familiar, Outlier makes high quality clothing in performance focused fabrics. With two “offerings”, the standard stocked products and “Experiments”, Outlier tries out new cuts and ideas while keeping a base line of products for which they have become well known for. The Strongdarts come from the Experiment line but not for the fabric they are made from; Strongtwill has been available in other pants for a few years now. The difference with the Strongdarts is the cut. Unlike a typical pair of pants that has a seam on each side of the leg, the Strongdarts only have a dart on the outer seams which end at about mid-thigh. With out that subtle weight from the seam, this makes them super comfortable and visually streamlines them quite a bit. Outlier pants do not come in lengths, its on you to hem them to your preference. My shorty twig legs typically require a hemming or at least a cuff. In the Strongdarts, a 30, my typical Outlier waist, fits me perfectly in both inseam and waist. Casual enough for a tee, business enough for an oxford, these are my daily wears nowadays. The fabric is the perfect weight for year round wear, super comfortable, and the taper in the leg is perfect for me. $98 for a T? You probably think I’m crazy. Well, so does my mom, join the club. Have you ever pulled apart a kneaded eraser and touched the fluffy bits at the ends where it broke apart? That is this fabric and the only thing I can think of comparing it to. It is legitimately light as a feather, to the point of you forgetting you are even wearing it, and super soft. It makes for a perfect undershirt and has a healthy portion of merino wool, which gives me a few days of wear before it picks up stink. I wear one of these under my button downs nearly every day for work and have my fingers crossed that Outlier continues to make them. Not much to say here. Killer noise canceling. 24hr+ battery life. I have better sounding headphones and more convenient headphones but its hard to touch these when it comes to traveling. Bought quite a few backpacks this year looking for a replacement to my daily carry bag and the winner was the Flight Pack from Aer. 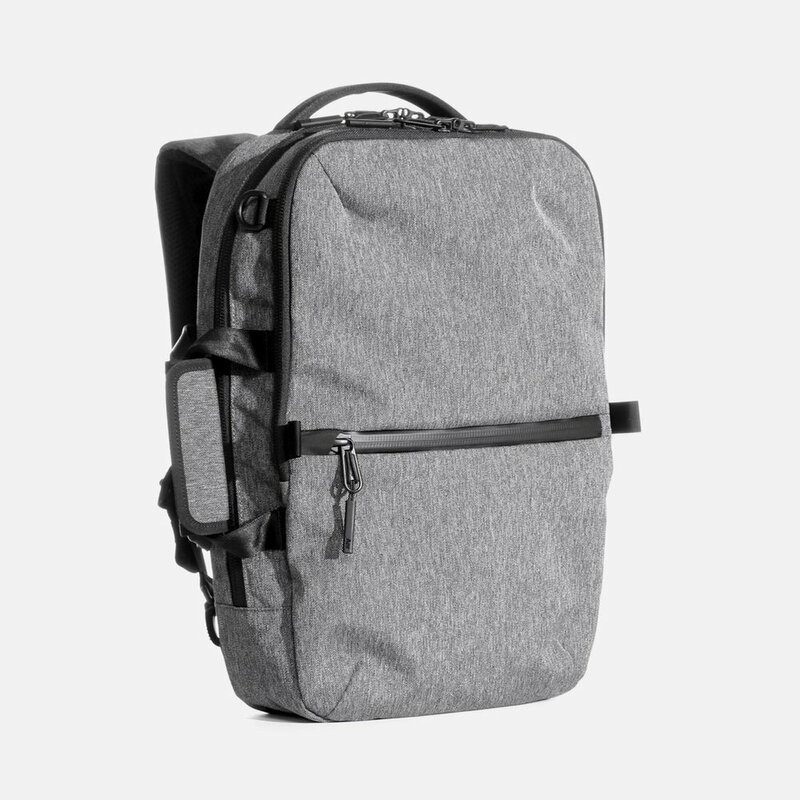 They have since released a new version, which looks to have added a bunch of great new features like a side handle, updated organization pockets, and a water bottle pocket. At 21L, its just big enough to fit all my daily carry items for work including just barely squeezing my stupid beefy 15” Dell Precision into the laptop sleeve. I do find it to be a little limiting, size-wise, in the main compartment so when I travel with photo gear I tend to go with the GoRuck GR1 instead because I get complete flexibility. The “tactical” build on the GR1 is great, but the “tactical” styling (particularly if you get it in Black) isn’t my favorite. This was a toss up between Hyukoh and another Korean artist, but with its English lyrics “Love Ya” is more approachable and every bit as enjoyable to listen to. Great indie rock feel and awesome little guitar lick in the chorus. If you dig it, the EP 24: How to Find True Love and Happiness is definitely worth a listen. You’ve probably heard their hit, “Citizen Kane”, from the album as Apple used it in their Animoji ad campaign. My biggest regret of 2018 is not seeing Hyukoh when they were in Philadelphia. Continuing the Korean theme, Mr. Sunshine follows a man born in Korea who ends up in the US Marine Corps during the Japanese occupation of Korea in the early 1900s. As someone who knew nothing about this time period in this part of the world, I was completely captivated thanks to its fantastic cinematography and perfect pacing. It’s the kind of show where you don’t want to leave the characters in the end but, sadly, it is only one “season”. Even though a majority of the show is in Korean, you’ll get sucked in. 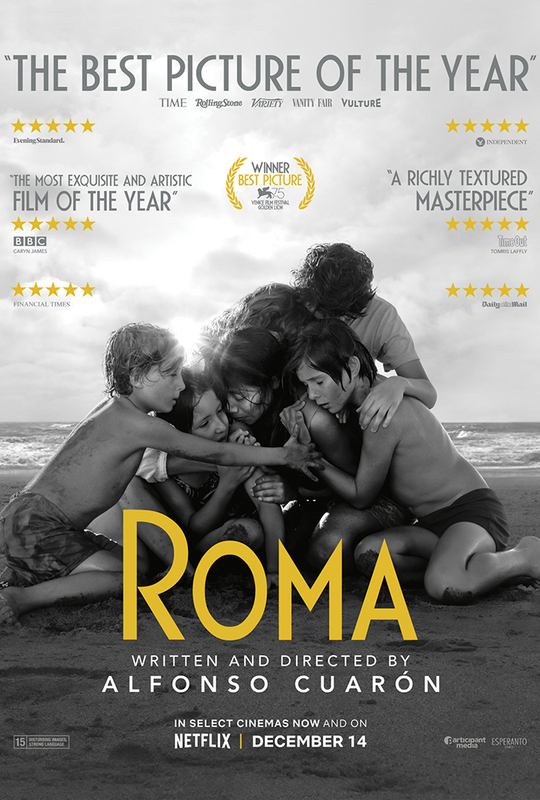 Cuarón crushed it. Shot entirely in black and white with all the hallmark “oners”. It way exceeded my expectations visually. The story was definitely a slow burn but I found it melded with the visuals perfectly. Watching, you almost feel like you are there with Cleo. Side note: I found Cuarón’s visual style for this film very much matches up with my personal photographic style and I keep going back to specific scenes to breathe it in more.